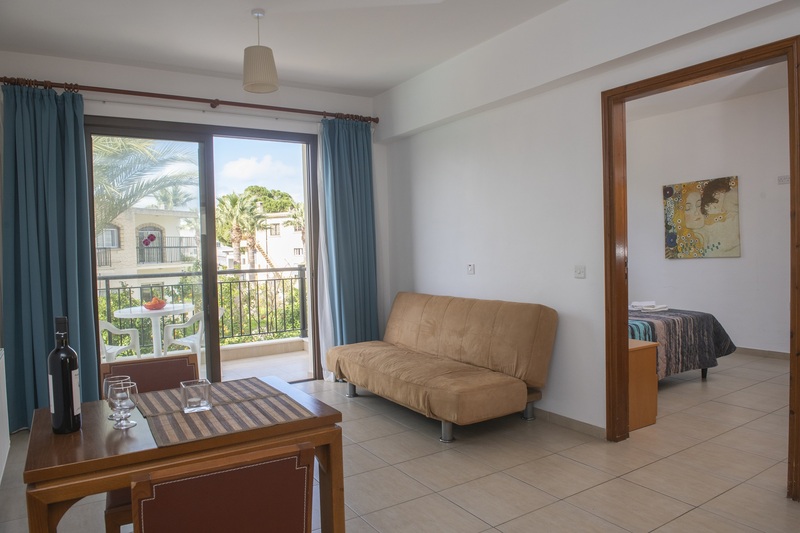 Our extremely spacious one-bedroom apartments can sleep a maximum of 3, contain all you need for a relaxing holiday. 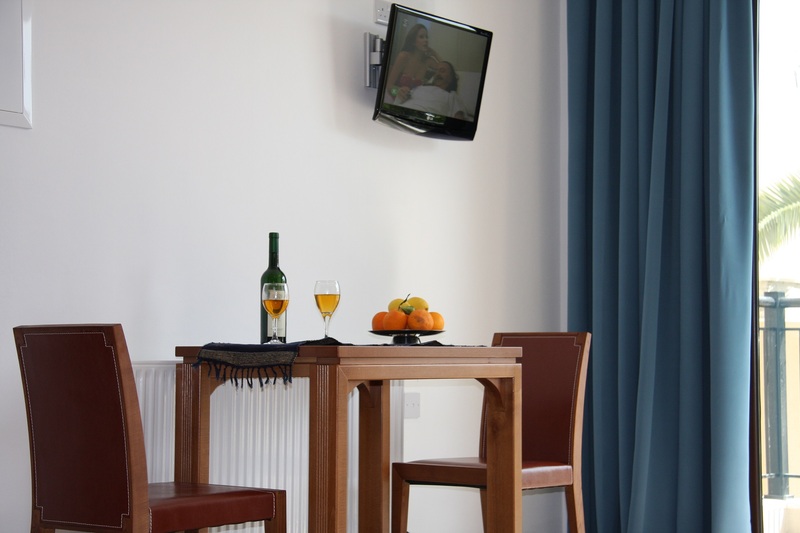 On entering the apartment you find yourself in a relaxed, roomy atmosphere. This lounge has a sofa bed, coffee table and chairs and patio doors leading either to a level patio area or veranda. There is plenty of room to manoeuvre if you are a wheelchair user. There is a wall mounted remote control TV, which again makes for more space. 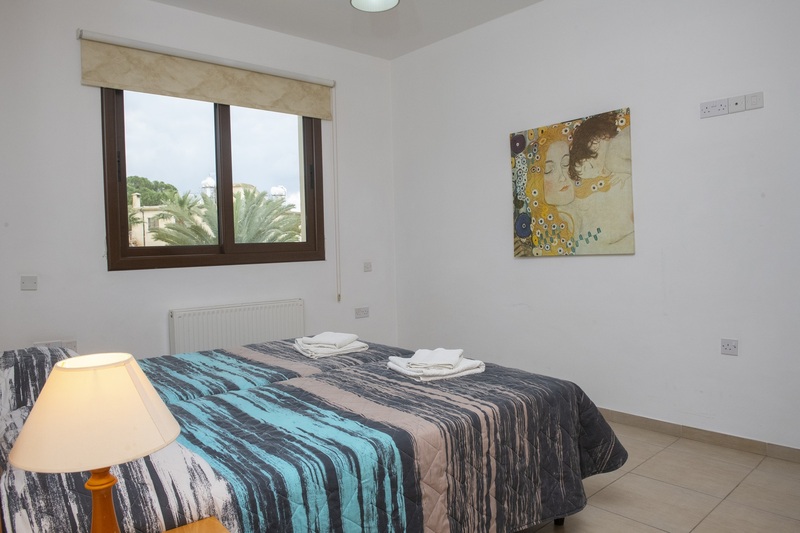 The bedroom has air-conditioning and 2 single beds. You will immediately notice that all doors in the accommodation are made so much wider for ease of access for the less able bodied visitor. The entrance to the level access roll in shower room is through a wide door which opens outwards. It has a metal kick board along the bottom so you don’t have to worry about getting into and out of the room and perhaps damaging it with your foot plates. This I feel makes it less of a worry for the wheelchair user. 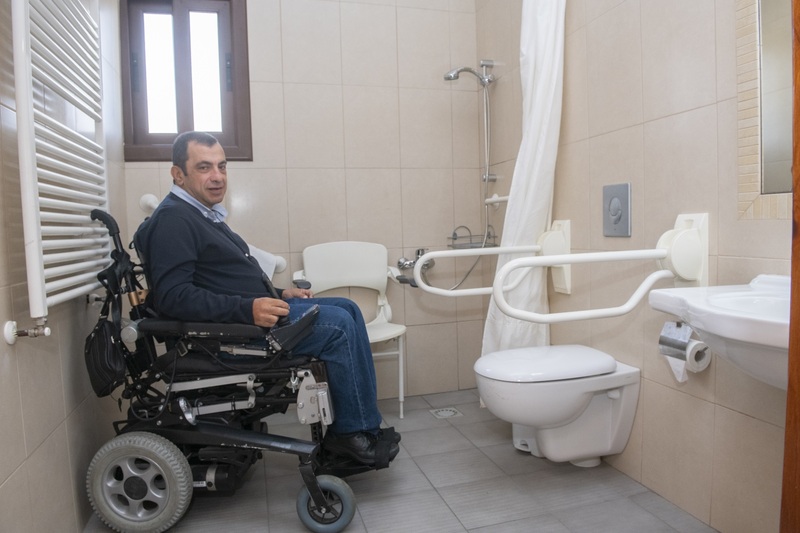 In the roll in shower room, you will immediately notice that it is large enough to enable you to move around freely if you are a wheelchair user. There is a wall mounted shower seat and grab rails around the shower area, these are obviously an important choice as they will help when showering and dressing etc. The toilet has drop down rails at the left hand side and also the right hand side for personal preference when transferring. If not required obviously these can be folded up. There is a wash basin which there is a large mirror with an additional light above. There is also an extra-large wall mounted towel rail for your convenience. The bedroom is once again very spacious. It has twin beds and multiple wardrobe/cupboard space as well as a vanity area. The light switches are all placed at a convenient level in here and also throughout the apartments. 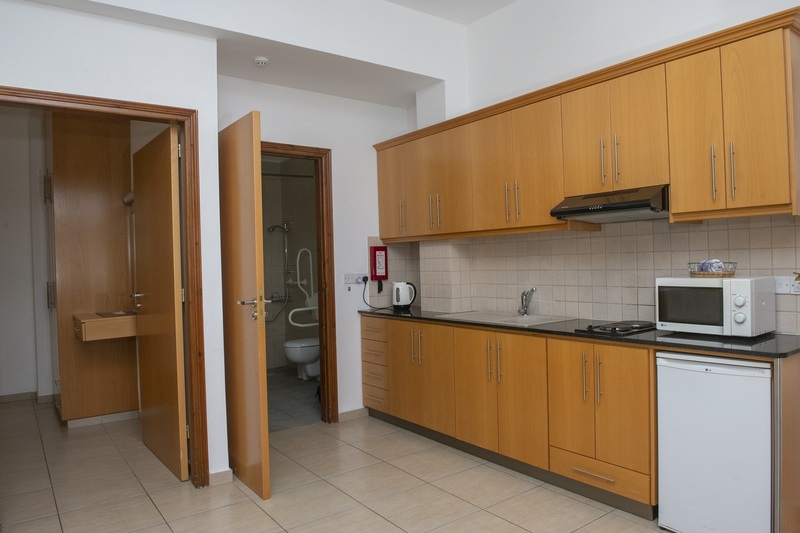 In the kitchenette you will find a dining table and chairs. The kitchen area has plenty of cupboards housing many utensils etc as well a kettle, fridge, double hob as well as a microwave as well as the general cutlery, crockery etc.